Designing your own floor plans can give you a sense of accomplishment. Give it a try and you will never regret it. When people build and remodel homes or buildings, they usually hire professionals to design floor plans. Why don't have a try to design your floor plan on your own? It is gonna to be fun to design your own floor plans. 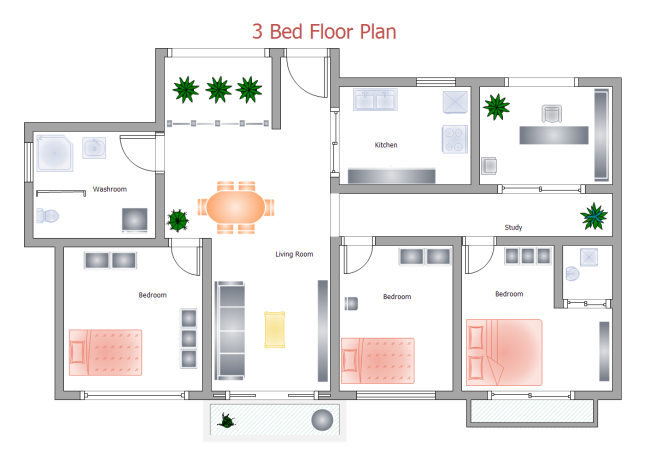 House floor plans, office layouts and kitchen designs are three main parts of floor plan designs. Let's start with house floor plans. Your new home should starts with a great plan. It is easy to find the design of your dreams in our floor plan designer. You may drag and drop rooms, doors, windows, and furnitures on the drawing page to create your own floor plans quickly. Our floor plan maker with many free home plan templates that suit a variety of lifestyles will be your good assistant to design your own floor plans. Whether you're looking for a beautiful garden plan or a large family home, you're sure to find it amongst our broad range of floor plan design examples. With pre-drawn libraries and more than 6500 vector symbols, you can design home plans super easily! Have you ever seen an office layout made by professionals? You might think that drawing such an office layout took a lot of work. On the contrary, with floor plan creator, it's simply a matter of dragging, dropping, and resizing floor plan symbols in the drawing page. The design of your office layout can reflect your corporate culture and mission. Therefore you should tailor your office design to complement the type of atmosphere you want to achieve. 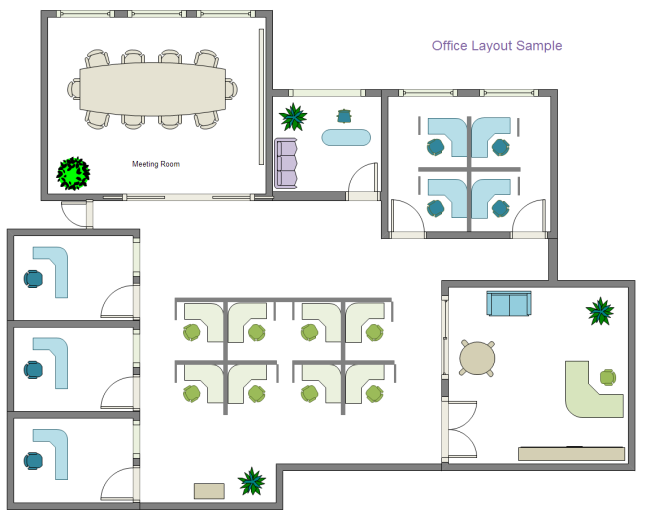 Designing your own office layouts can be quite easy with the help of floor plan software. 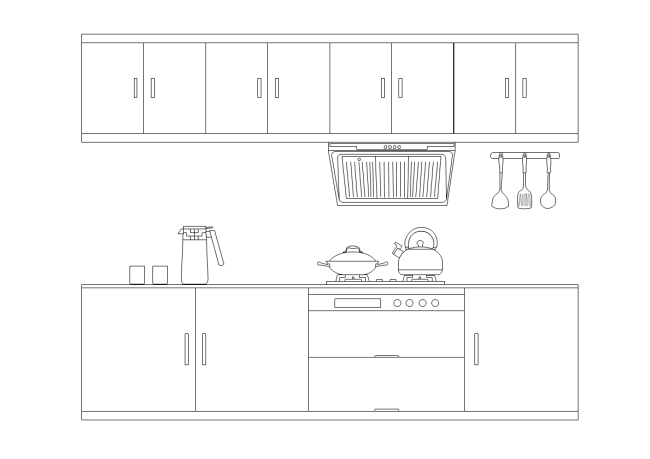 It's fun and simple to use floor plan maker to design your own kitchen. Also, it's really useful, it will give you a good idea of how your kitchen will look. If you're happy with your finished kitchen design, you can print it, email it and share it with as many people as you want to. One famous designer Mick De Giulio said that the best kitchens have a soul or a spirit that's warm, inviting, and personal, which means your kitchen should have your own style. It will be an easy thing to make your kitchen design using floor plan maker. Don't forget to share us your dream kitchen when you finish it.